If you are interested in hosting a yoga session in your garden, here is what you need to know. We need space for at least 7 mats. When you get in touch, we will agree a time and date that suits you and I will then start promoting the event. Events can run between May and end of August. As a host, your session will be free. All you need to do is ensure the space is ready for the session. If your garden is large enough to fit more than 14 people, you will have an extra free ticket for a friend. Each participant will bring their own mat, or will be able to pre-book one directly with me. In case of rain the event will be cancelled or postponed. 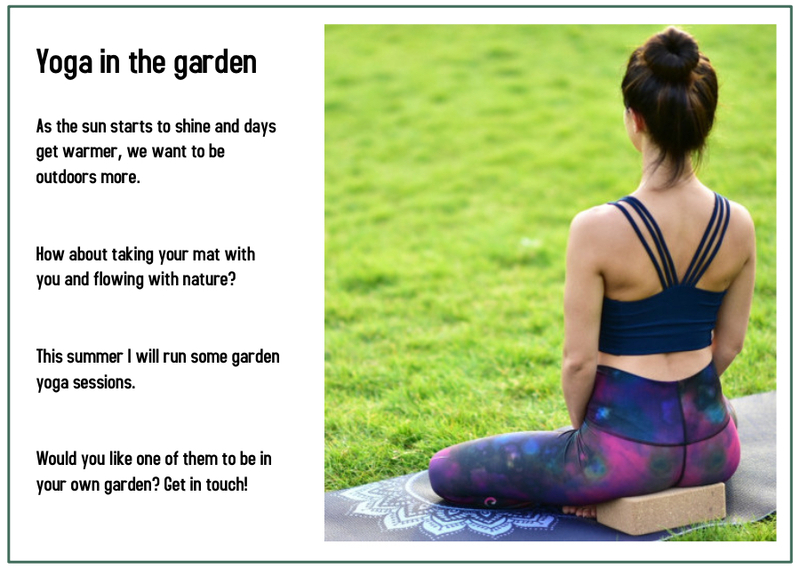 Get in touch to discuss hosting a yoga session in your garden. If you are interested in taking part (not as a host), keep an eye out on my newsletter and I will announce dates soon. You can subscribe here.